But enough about 80s memorabilia. On to the tutorial! 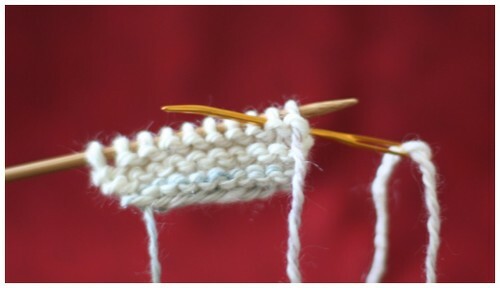 The sewn bind-off is perfect for toe-up socks. 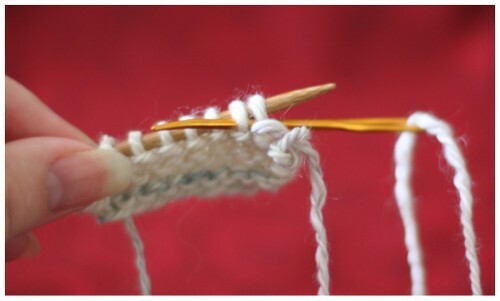 You'll need to leave a tail of yarn at least 2 feet long when you're ready to bind off, which you then thread onto a tapestry needle. Slide that stitch off the needle. 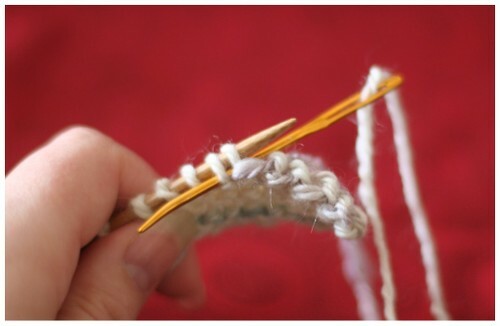 You've now bound off the first stitch -- hooray! 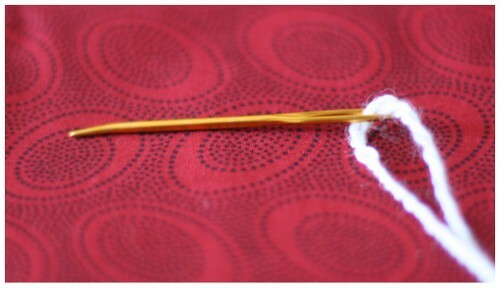 To continue, insert the tapestry needle through the next two stitches, and keep repeating the steps as outlined above. Keep going, and the bound off edge should look something like this. 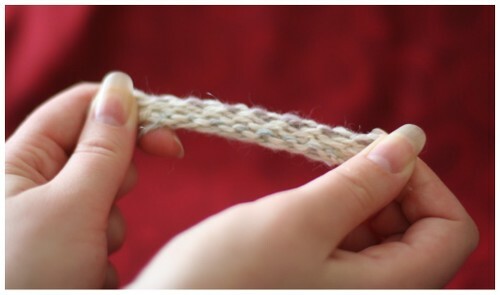 See why I call this the Stretch Armstrong bind-off? It's pretty darn stretchy, and stretchy is good. I think you've got another "tips and techniques" winner here! Thanks for such clear descriptions and photographs. 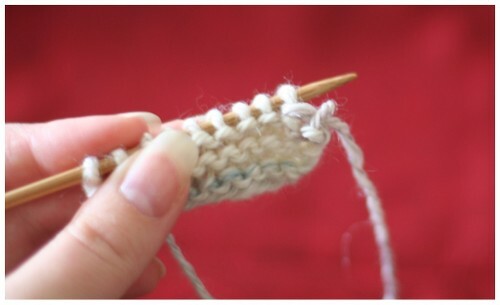 Cool bind-off! I could have used it yesterday. Dang. thanks for the great photos!! I have just finished my first toe-up sock and was about to google for a tutorial on the sewn bind off!! Perfect. Thanks for the tip - great description and pictures. Now I'm ready to try toe-up socks! Brilliant thanks! I just made a stretchy ipod case, and had bound of a few of the stitches when I realised that it just wasn't going to be stretchy enough. This looks perfect. I'm going to go try it now. great for my granddaughter's chubby, little arms! 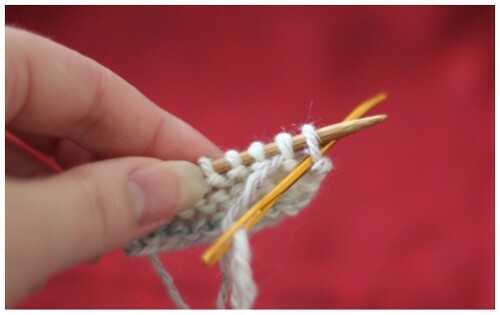 awesome bind off! i used it to finish a cowl for my husband! thanks! and had bound of a few of the stitches when I realised that it just wasn't going to be stretchy enough. This looks perfect. I'm going to go try it now.